The Kingdom of France originated when Hugh Capet was elected King and founded the Capetian dynasty. Before, the area of the Frankish empire was ruled by several dynasties. Hugh Capet was married to Adelaide of Aquitaine, and she was known as Queen of the Franks. They had three children that can be accounted for, including Hugh’s successor Robert II. Robert was married three times to Rozala of Italy, Bertha of Burgundy and Constance of Arles but he only had children with Constance. Robert was succeeded by his son, now King Henry I in 1031. He was married to Matilda of Frisia, who died in 1034. He then married Anne of Kiev, who gave him two surviving sons and then served as the first female regent of France for their minor son, King Philip I. Philip married Bertha of Holland with whom he had two surviving children. He also children with Bertrade de Montfort, whom he repudiated his first wife for. He was succeeded upon his death in 1108 by his son, now King Louis VI. His first marriage to Lucienne de Rochefort was annulled after just three years, and he remarried to Adélaide de Maurienne in 1115. They went on to have eight children, though not all lived to adulthood. His eldest son was co-King until his death in 1131. Louis was therefore succeeded by his second son, now King Louis VII. Louis married the formidable Eleanor of Aquitaine with whom he had two daughters before their marriage was annulled. He remarried to Constance of Castile who died after giving birth to their second daughter. He remarried to Adele of Champagne with whom he finally had his son and heir, King Philip II. Philip also had some trouble staying married. His first wife Isabella of Hainaut died shortly after giving birth to twins. In 1193, he remarried to Ingeborg of Denmark, whom he repudiated. While still officially married to Ingeborg, he married Agnes of Merania with whom he had two children. His marriage to Agnes was declared null and void. His son by Isabella succeeded him upon his death in 1223. King Louis VIII was King of France for just three years. He married Blanche of Castile in 1200, and they had twelve children, though not all lived to adulthood. His son became King Louis XI upon his death with his mother acting as regent. Louis became the only canonised king of France. He married Margaret of Provence in 1234, and they had eleven children, though not all lived to adulthood. He died of dysentery while on crusade and was succeeded by his son, now King Philip III. Philip married Isabella of Aragon with whom he had two surviving sons. She died shortly after a fall from her horse and the premature birth of a son. He remarried to Marie of Brabant three years later, and they had three more children. He died in 1285 and was succeeded by his son from his first marriage, now King Philip IV. Philip married the Queen regnant of Navarre, Joan I and they had seven children, though not all lived to adulthood. All three of his surviving sons subsequently became King of France and Navarre. His daughter Isabella became Queen of England. The wives of his sons Louis X, Philip V and Charles IV were all involved in the Tour de Nesle Affair. The Kingdom of Navarre went to Louis X’s daughter Joan (Joan II of Navarre). Louis also had a son, who was born posthumously and was King for all of the three days of hs life. The Kingdom of France cannot be inherited by a female, while Navarre could. The Kingdom of France thus passed to his younger brother Philip and then to Charles IV. Charles had no sons and was succeeded by his cousin, Philip of Valois, a grandson of King Philip III. However, this led to a succession war with England, where Isabella of France’s son Edward also claimed the French throne. Philip married Joan of Burgundy (known as the Lame because of a deformity of some kind), and they had two surviving sons. His son became King John II when he died in 1350. John married Bonne of Bohemia in 1332, and they had nine children, though not all lived to adulthood. 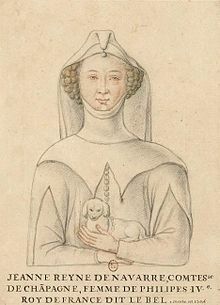 Bonne died in 1340 and John remarried to Joanna I of Auvergne, but their three children all died young. His eldest son became King Charles V upon his death in 1364. He married Joanna of Bourbon in 1350, and they had nine children, though only two lived to adulthood. He was succeeded by his eldest son King Charles VI in 1380. Charles VI was known to be rather insane, and his wife Isabeau of Bavaria acted on his behalf. His insanity was rather inconvenient in the ongoing war of succession with England. His daughter Catherine married Henry V of England, and by the Treaty of Troyes, her son became King Henry VI of England and also briefly of France. Her disinherited brother eventually became King of France as King Charles VII with the emergence of Joan of Arc. He had married Marie of Anjou in 1422. They had fourteen children, though not all lived to adulthood. His eldest son became King Louis XI upon his death in 1461. He was married to Margaret Stewart before he became King, but they had no children. His subsequent marriage to Charlotte of Savoy produced three surviving children. His son became King Charles VIII who married the heiress of Brittany, Anne of Brittany. 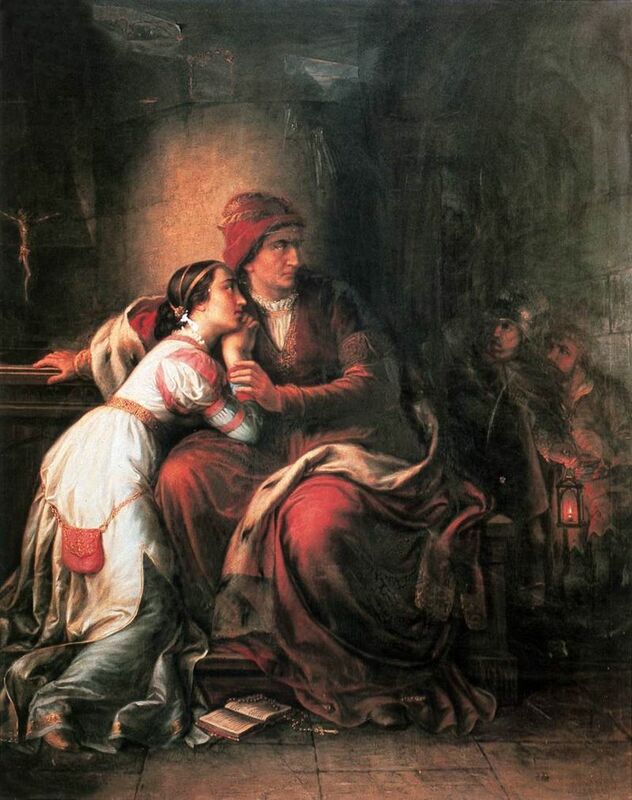 She was pregnant seven times, but they had no surviving children, and upon his accidental death in 1498 he was succeeded by Louis XII, who was a grandson of Charles V and also happened to be unhappily married to his sister Joan. Joan was shoved aside for the heiress Anne, who had promised to marry Charles’s successor. 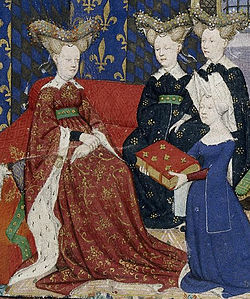 Louis and Anne had two surviving daughters, who could inherit Brittany but not France. Their eldest daughter Claude married her father’s successor Francis of Angoulême, who was a great-great-grandson of King Charles V of France. They had seven children together before her death in 1524. He remarried to Eleanor of Austria in 1530, but they had no further children. Francis was succeeded by his second son, Henry II, who married Catherine de’ Medici in 1533. They had ten children together, though not all lived to adulthood. All his surviving sons subsequently became King of France but produced no surviving male issue. 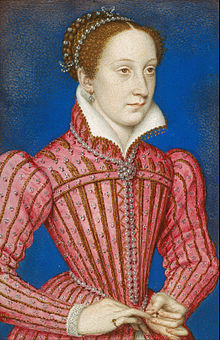 He was first succeeded by his son Francis II, who was married to Mary, Queen of Scots. Francis was succeeded by his younger brother Charles IX who had a shortlived daughter with Elisabeth of Austria. Charles was then succeeded by the last of the brothers, now King Henry III. Henry was married to Louise of Lorraine, but they had no children together. Henry’s heir was the protestant King of Navarre, which led to a war of succession. The King of Navarre initially kept his protestant faith, but soon converted to Catholicism. He was first married to Catherine and Henry’s daughter Margaret, but they had no children. Their marriage was annulled although Margaret kept her title. He remarried to Marie de’ Medici, and this marriage produced six children. He was assassinated in 1610 and was succeeded by his eldest son, now King Louis XIII of France. Louis married Anne of Austria in 1615 but their marriage was plagued by stillbirths. They finally went on to have two sons after 23 years of marriage. His son, now King Louis XIV, was just five years old when he succeeded. He went down into history as the Sun King and his reign lasted 72 years. He had just one surviving son with his wife, Maria Theresa of Spain. Upon his death in 1715, he was succeeded by his five-year-old great-grandson, now King Louis XV. He married Marie Leszczyńska in 1725 with whom he had ten children. He was succeeded by his grandson Louis XVI in 1774. 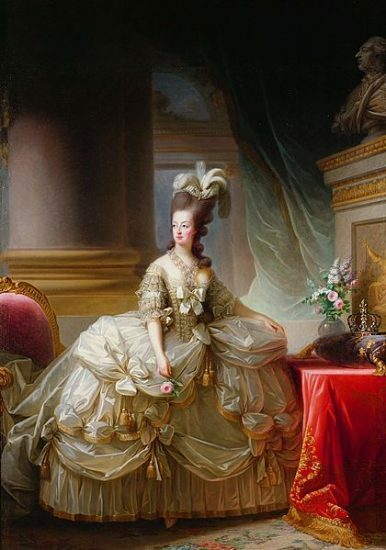 Louis XVI had married Marie Antoinette in 1770, but they had so far not consummated their marriage. Their first child, a daughter, was finally born in 1778. The French Revolution ended the lives of Louis, Marie Antoinette, and their son, who briefly succeeded as King Louis XVII. The Kingdom of France ended in 1792 and was followed by the French First Republic which lasted until 1804. Napoleon Bonaparte was Emperor of the French from 1804 until 1814. The monarchy was briefly restored under Louis XVI’s brother who was crowned as Louis XVIII. In 1815, his reign was briefly interrupted until Napoleon was defeated for good. Louis XVIII’s wife Marie Joséphine of Savoy had died before he became King and they had no children. He was succeeded by his brother, now King Charles X. He had been married to Maria Theresa of Savoy who gave him two surviving children before her death in 1805. His reign ended in the July Revolution in 1830. He abdicated and Louis Philippe I was elected as King of the French. His son Louis Antoine was technically King of France for the twenty minutes in between the signing of the abdication documents. Louis Antoine was married to Marie Thérèse of France, the daughter of Marie Antoinette and Louis XVI. Louis Philippe I was a cousin and a member of the House of Bourbon as a male-line descendant of Louis XIII of France. He was married to Maria Amalia of Naples and Sicily, and they had ten children, though not all lived to adulthood. He was forced to abdicate after the outbreak of the French Revolution of 1848, which also definitely ended the Kingdom of France. 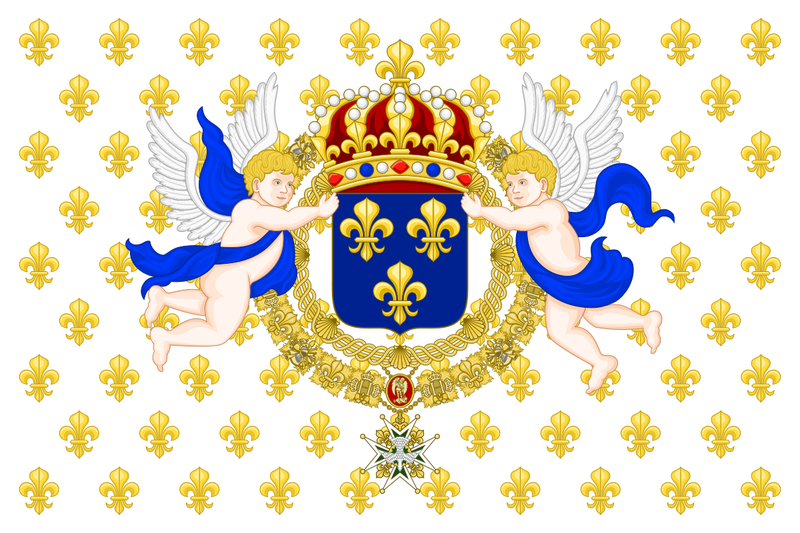 The claim to the Kingdom (or Empire) is disputed between Louis Alphonse, Duke of Anjou of the House of Bourbon, Henri, Count of Paris of the House of Orléans and Jean-Christophe, Prince Napoléon of the House of Bonaparte. I would love to read an article like this on the English succession. Please let me know if you have already written one. Thank you. I enjoy your page very much.